Mattu Pongal 27. 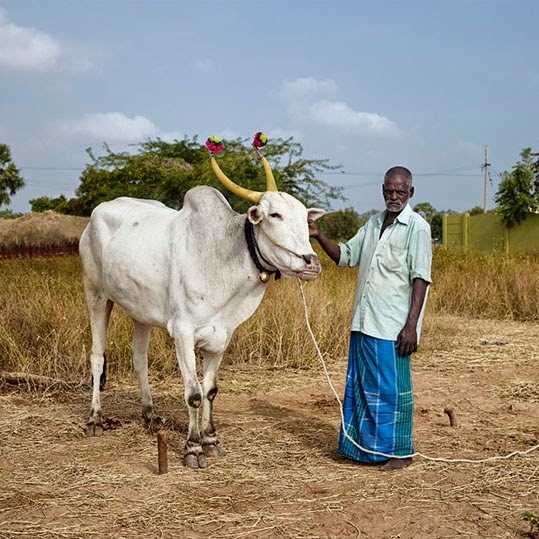 Tiruvannamalai, Tamil Nadu, India by Daniel Naudé (b. Cape Town, South Africa, 1984) forms part of the artist's solo exhibition Sightings of the Sacred: Cattle in India, Uganda and Madagascar at Stevenson, Cape Town (10 April - 24 May 2014). Naudé has photographed cattle in societies where these mammals are revered. This position stands at odds with the Western world where cattle are considered sources of milk, meat and leather.